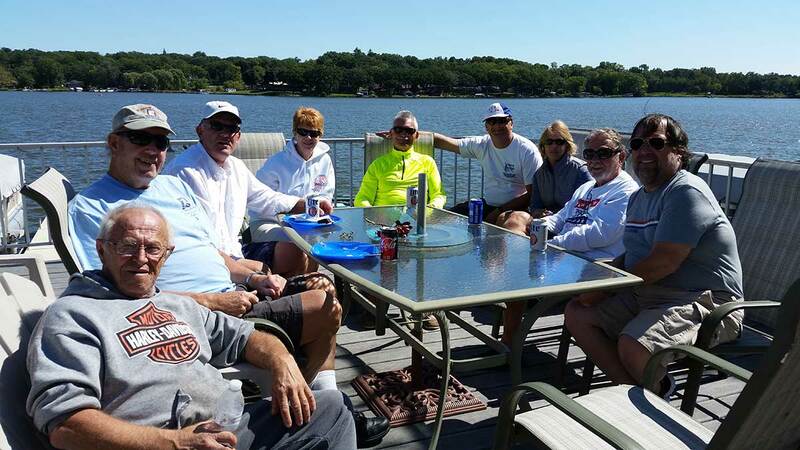 The modified Fish (minus the weeds) Regatta was sailed on a near perfect sailing day on Wonder Lake Saturday Sept 9. Race 1 saw Jim and Tom in IW 8 lead the way to victory with Jack, Cindy and Marie in IW 24 placing 2nd. Close competition occurred for 3rd with Dennis and Bob taking 3rd and Greg and John right on their port quarter. Race 2 saw Jim and Tom in IW 8 out to the lead. In firm control they proceeded to the capsize drill and retired. Greg and John in IW 12 proceeded to the top spot for a short time when John was swept overboard but recovered quickly. Dennis took the lead with Marie , Jack and Cindy chasing them. Dennis strengthened their lead and IW 6 won the race and the regatta! The C Scow was the first class of scow built by Harry C. Melges, Sr. in 1945; it quickly became an all-time speed favorite. The C Scow has come a long way from the days of wooden materials and cotton sails. It continues to be a very revolutionary sailboat, inspired by more than 100 years of competitive racing. This cat-rigged, maneuverable sailboat is great fun and a total pleasure to sail..... Very Fast, Fun, and Furious!